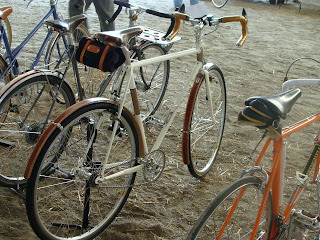 Juan sent me this cool shot of his Ellis all built up and it got me thinking, how about a bunch of complete bike shots? 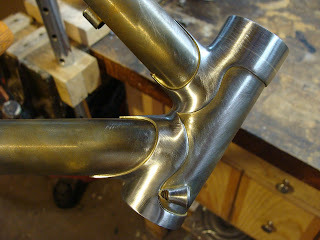 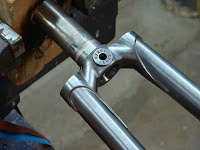 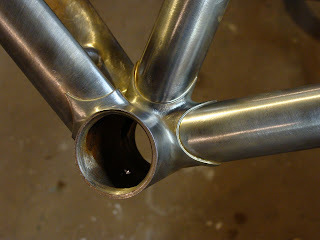 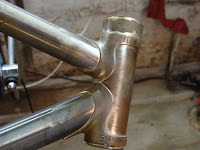 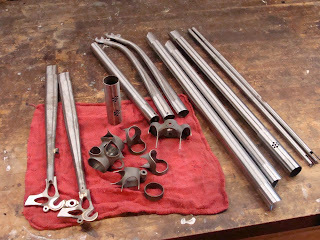 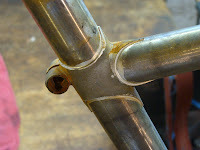 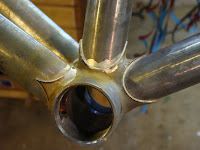 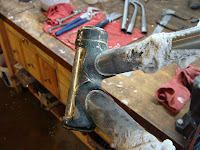 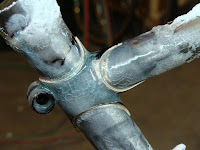 Here's a close up of the head lugs and fork crown. 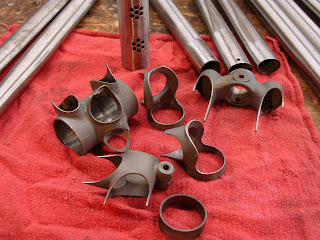 Gotta love those hammered Honjos! 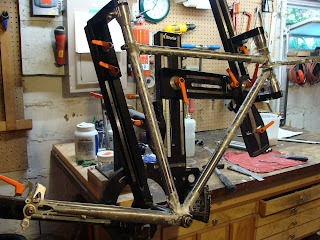 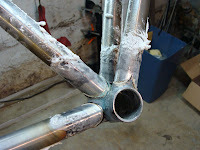 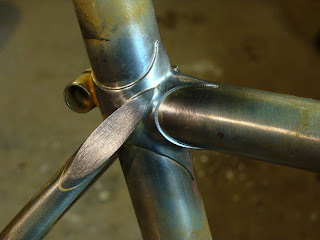 Here's the cross frame all prettied up with a fresh coat of paint. 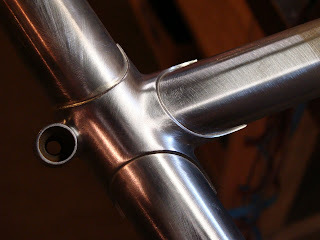 I've been commuting on this one, but I'll have to take some more photos once it's cross ready. 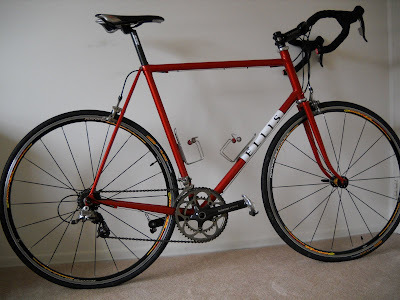 I've got the old Helium's set up and cross tires already glued on! 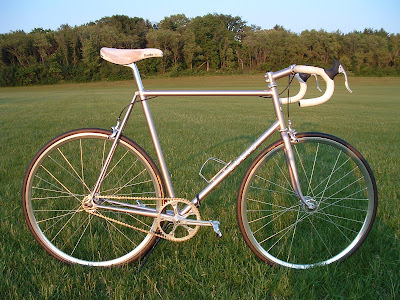 Last summer I took some shots of my single speed in the late afternoon sunlight. 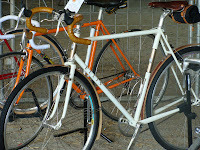 Here's a couple of Paul's single speed from this year's Cirque. 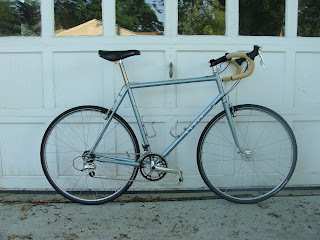 It took runner up in the Single peed/Track category. 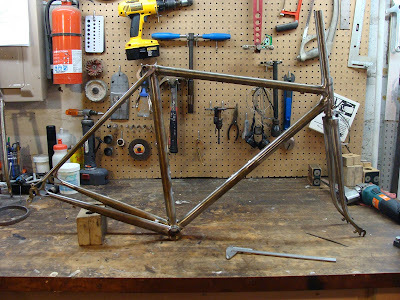 Many thanks to Paul for not only bringing it to the Cirque, but also making the trip to Indianapolis with it so I could show it at the Handbuilt Bike Show! 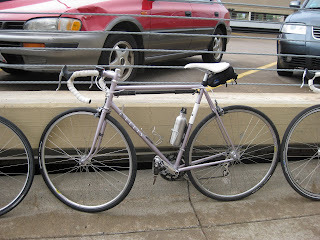 Josh came up from LaCrosse for the Velo Duluth Century in July and Doug R. snapped this shot of his Ellis. 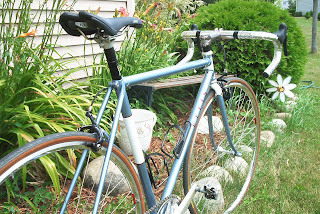 Josh is still using toe clips and straps, but it doesn't stop him from really motoring, he finally bid us farewell at the 40 mile point and pushed on ahead to try and finish early. 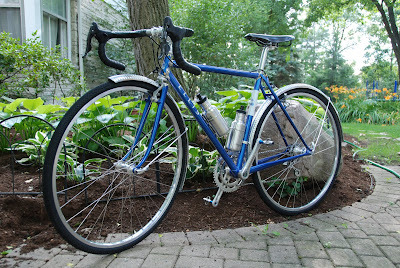 Finally, Doug's beautiful light tourer. 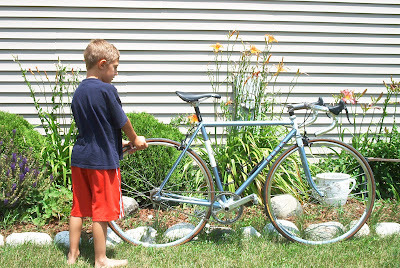 I pulled this one off his blog, http://mnbicyclecommuter.blogspot.com/. 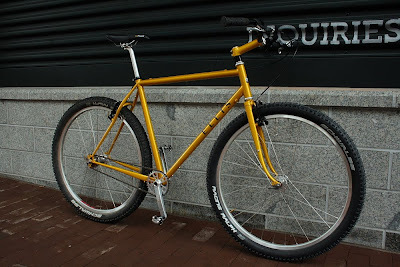 I enjoy checking in periodically and seeing where Doug's been riding and checking out his beautiful photos. 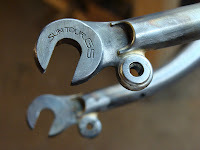 Thanks again to Doug for his hospitality on my recent visit to Duluth.